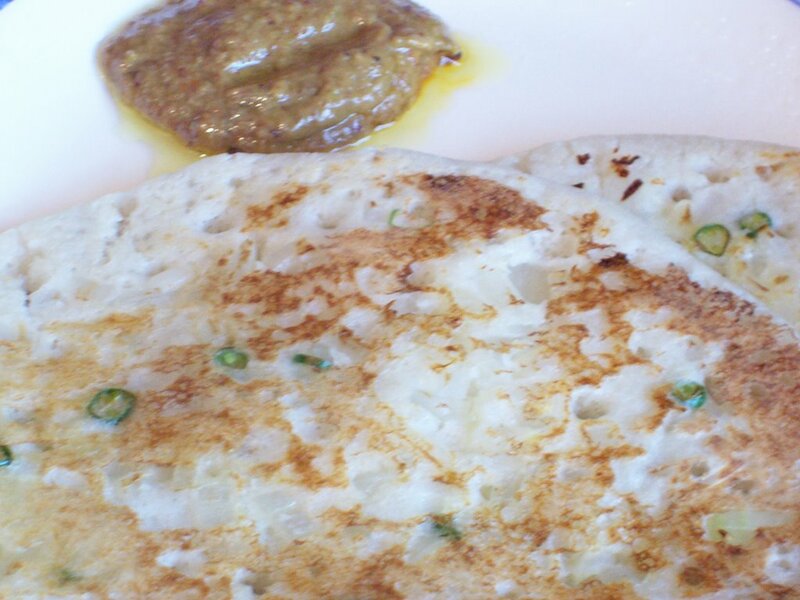 Here is another way of making uttappam with urad and moong dal. I have used onion for Topping. You can also try using grated carrots, cauliflower, tomatoes etc. Soak rice, urad dal and half ground moong dal in water overnight or in warm water for 2 hours. Grind the soaked rice and daal with grated coconut, ginger, salt and water to smooth batter. Let the batter ferment overnight or for 7-8 hours. Heat the tava/pan and put little ghee/cooking oil. Spread the batter on tava and add chopped onion and chillies on top of uttappa immediately. Cook it till brown on bothsides applying oil. Serve hot with any chutneys or pickles of your choice. 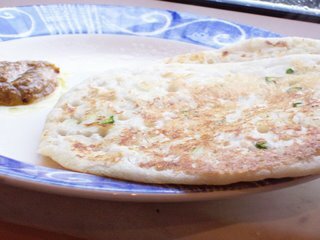 Where does the rice go in the onion Uthappa recipe? thanks for pointing out the mistake. i have made the correction. @Shweta Shetty, thanks for bringing it to my notice! this is one of my first posts as a new blogger and i have left out the important step! yes, you need to ferment the batter before making Uttappas. Let the batter to ferment overnight or for at least 8 hrs before making uttappas.